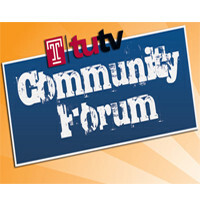 Alexandra Gallo invites Malik Gray to the set of TUTV Community Forum to speak about the current state and plans for advancing Philadelphia’s Behavioral Health Initiative. Gray is a Program Analyst for the Department of Behavioral Health and Intellectual Disability Services. Together the two talk about what initiatives Philadelphia has taken to assist those suffering through mental illnesses, Temple’s partnership, training individuals as “aiders” to spot symptoms of mental health, and many other programs offered by the department.